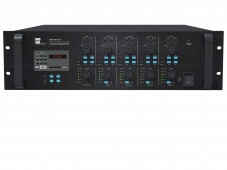 The BMA-MAT4120 is a 4 channel mixer amplifier with four power outputs of 120W. 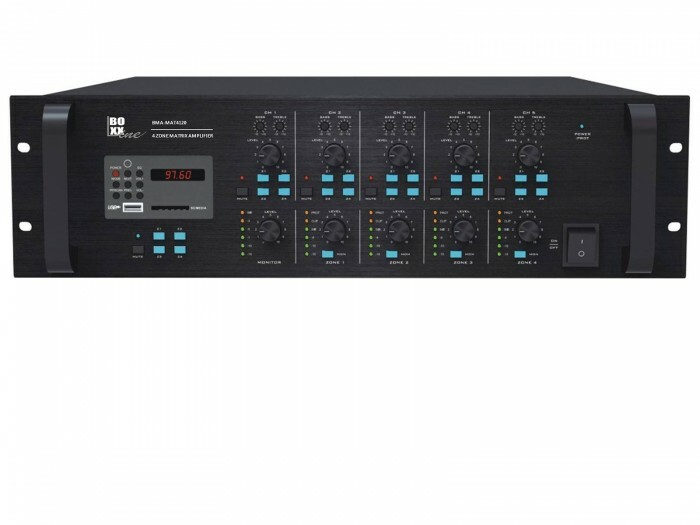 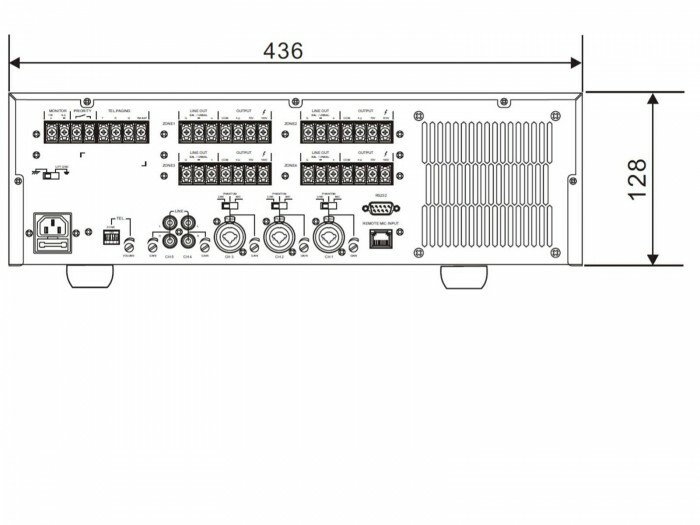 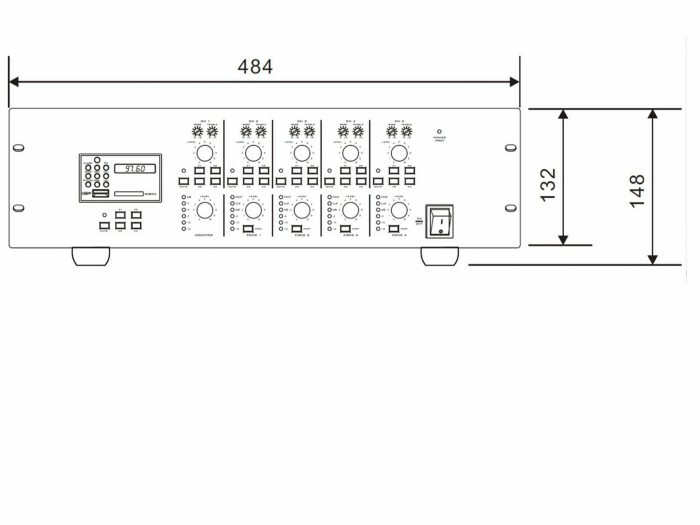 The inputs and outputs can be matrix selected, thus it is a high integrated 4 channel audio matrix system solution with Mp3 player for hotel, shopping mall, sports center,entertainment center, etc. 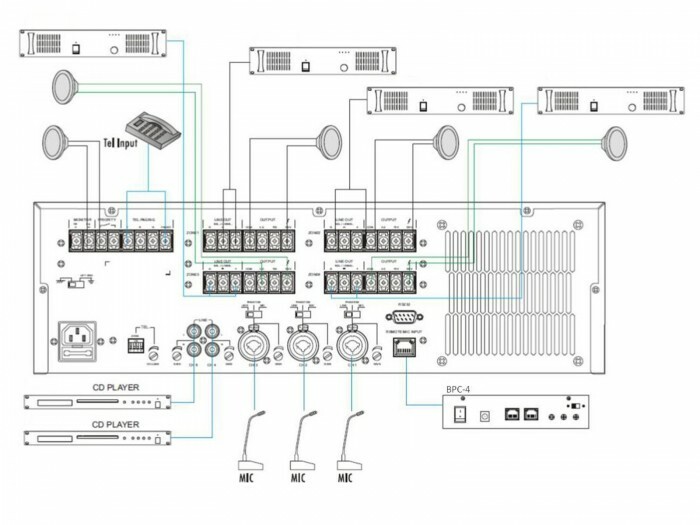 Each inputs could be easily designed to different four zones by front panel selector, moreover each inputs are supplied with separate bass, treble and volume control for precise sound effect for each area. 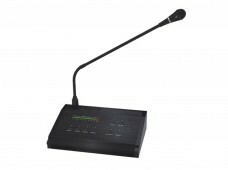 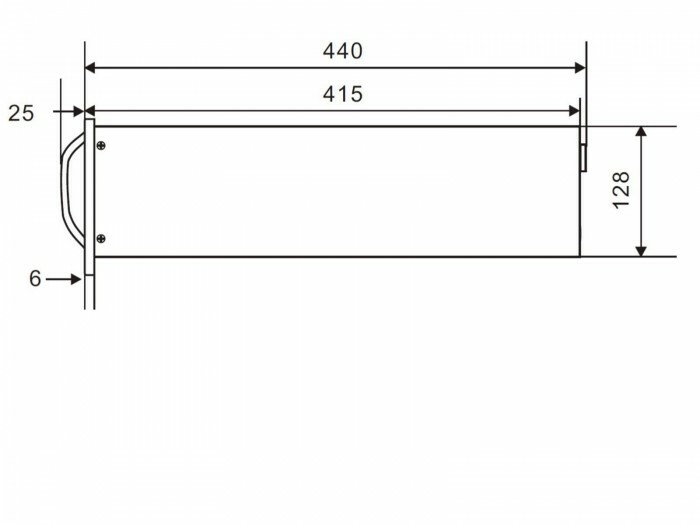 Three Combo Mic/Line inputs with selector and phantom power, thus the microphone input support both phone jack and XLR type. 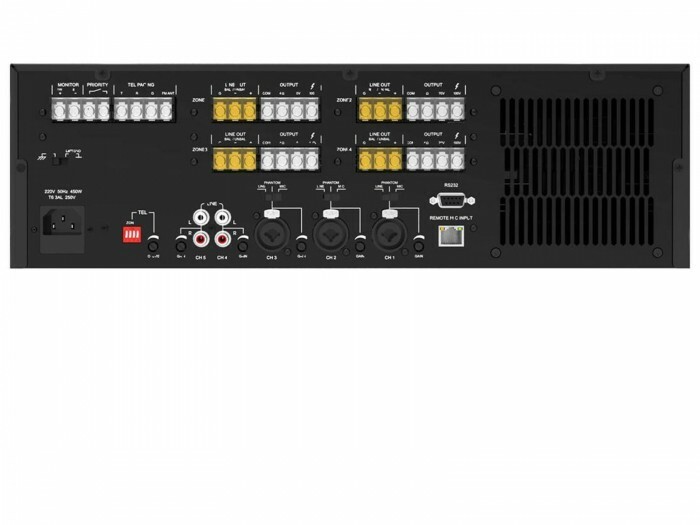 Two RCA type line inputs, built-in Mp3 player on front panel, one tel input and one RJ45 port for a remote paging microphone BPC-4. 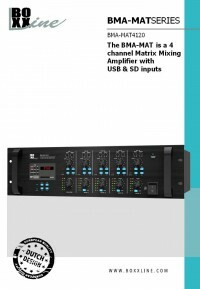 MP3 Format Supports MPEG audio 1, 2 and 2.5. 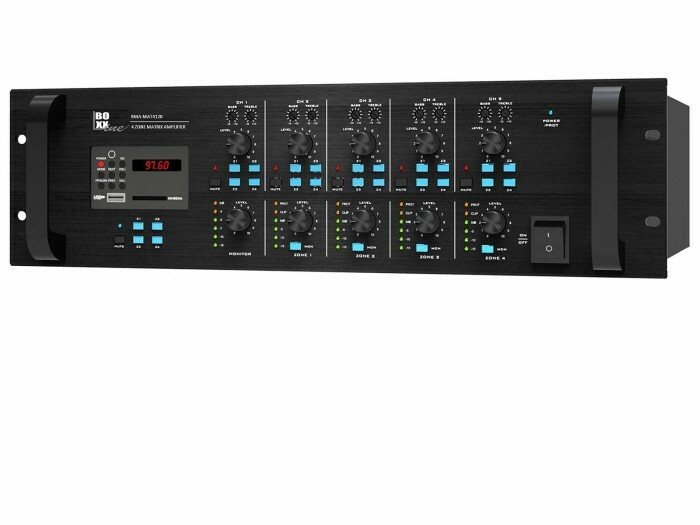 Supports Layer 1, 2and3 Supports sample rates 8k, 16k, 32k, 11.025k,22.05k, 44.1k, 12k, 24k and 48kHz Supports bit rate 8 to 320 kbps and VBR (Variable Bit Rate).Except free format.